DC@AL – Now with more Charlotte! We’ve added LOTS of new material to Carolina Past – please visit to see postcards and photographs illustrating Charlotte from the late 19th century to the 1980s. 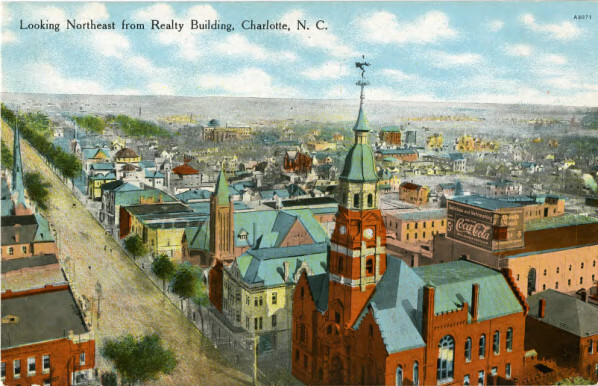 Many of the postcards represent Charlotte as a modern, progressive center of Southern commerce – even as early as the 1920s. Check it out! Looking northeast from Realty Building, Charlotte, NC. 1910. From the Mary Boyer Collection.